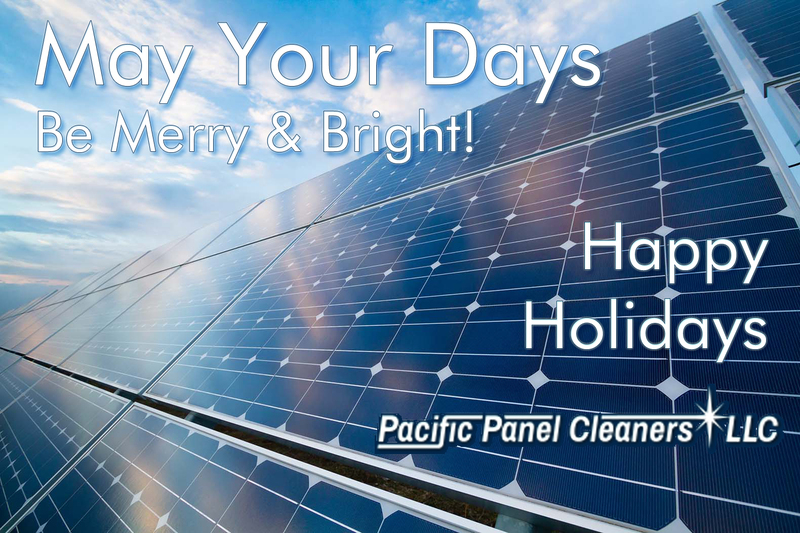 Pacific Panel Cleaners | Solar Cleaning and Maintenance. 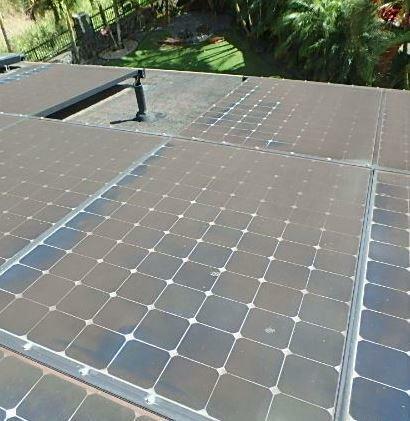 Pacific Panel Cleaners provides the highest quality solar cleaning and maintenance and has been happily serving Hawaii since 2009. 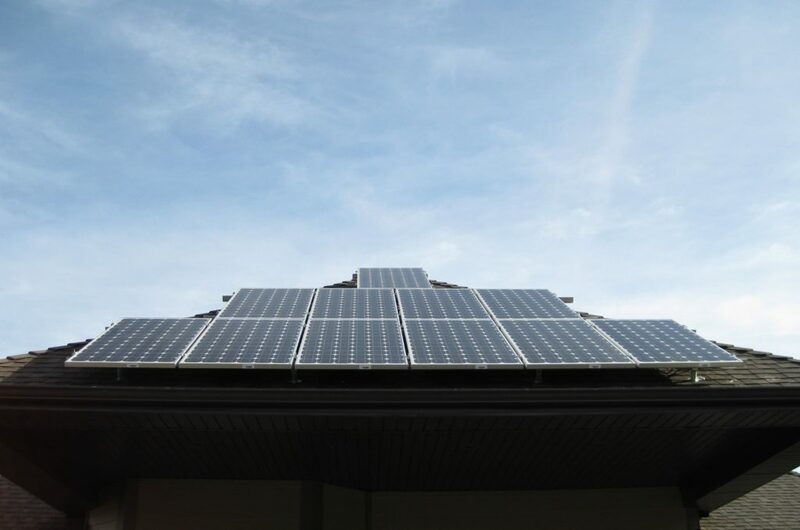 Regular cleaning and maintenance is essential to the performance and longevity of your photovoltaic system that powers your home or business. 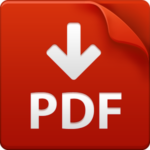 Learn more by checking out the FAQ page. We are sending out a precautionary note to all of our clients that you may want to shut down your PV system with the storm coming in hard. With the amount of rain, flooding, heavy winds & debris we’re expecting, if a power line drops we may get a surge that can adversely affect the systems. There are surge protectors & safety features built into the units, but we recommend doing it anyway, in the event of a heavy surge that could damage your equipment & create further problems. PLEASE REMEMBER to turn your system back ON after the storm has cleared. Also to note, if we’ve taken care of your systems, we have photos on file of your roofs & panels, which could be helpful in the event you have to file any insurance claims related to damage post-storm. If Pacific Panel Cleaners, LLC has cleaned and inspected your PV systems and you are worrying about what to do if there is an insurance claim now or after Hurricane Lane passes for your damaged or destroyed panels, don’t worry! 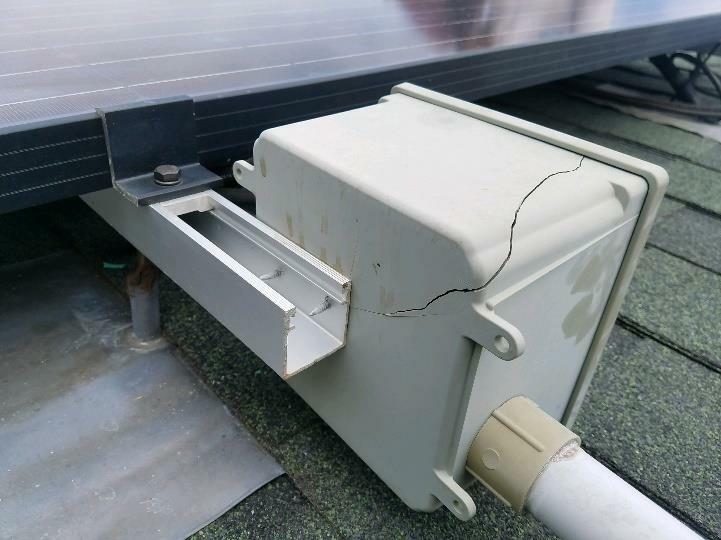 We have photos, records, and the report of the condition of those panels when we were last at your location, performing our PV cleaning and inspection services. Pacific Panel Cleaners, LLC is always here to help our customers. 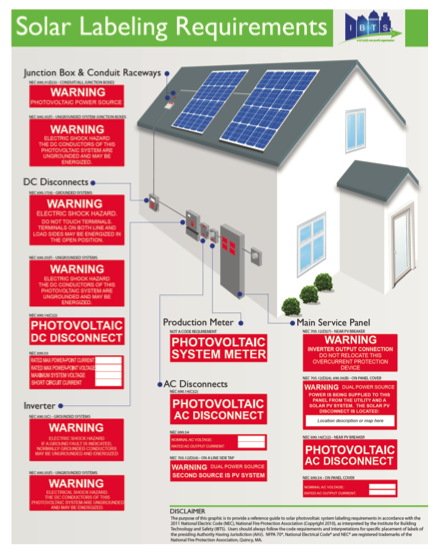 Contact us with any questions or concerns regarding your PV systems anytime! We want to make sure you do it safely. You have owned your solar investment for several years now and you may have realized, they do not clean themselves. You decide to do it yourself, as there is no better time than the present – but wait, there are some safety precautions you should take. Should you get your panels cleaned, YES! You have taken the first step to help protect your solar investment – wanting to clean your solar panels. We must remember that safety is paramount! The solar panels are not going to be a concern for us if we get hurt, instead they will more likely be a nuisance. We need to remember that these are pieces of electrical equipment, so the first thing you want to do is check your monitoring and make sure they are working. Is it a central or a micro inverter? Make sure you know the difference. If there is a problem within the system, find out what it is and get it corrected prior to any cleaning, as this can be an accident waiting to happen. Electricity is a sneaky beast. With any successful task, we need to have a plan. How are we going to get on and off the roof safely? Where am I going to be standing? How am I going to approach the cleaning? Think about all aspects beforehand. You want to make sure this is thought out prior to climbing up there. Look around for power lines. Know your roof edges and figure out where you are going to be standing. Cleaning Your Own Solar Panels? Pro Tips: Section 2. You Have Made It on The Roof! Congratulations on getting on the roof and having your plan routed out. Next Step: Assess the roof and the roof conditions. Make sure you have a good walking path and know where the power lines are and are not. Remember the roof layout – we now need to look at areas around and underneath the panels. Figure 2: Some not so happy kind friends under a solar panel. There are sometimes (more often than you’d think) not so friendly pests under your solar panels. Prior to spraying, you want to make sure there are no creepy, crawly, flying things that may have you running as fast as you can in another direction. Not a very fun feeling to have while on the roof. 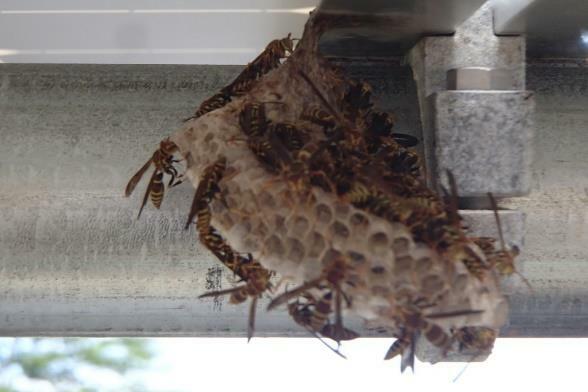 Keep in mind that wasps, hornets, bees and other creatures like the warmth and protection of the PV panels just as much as we enjoy the energy they produce. You need to look at the panels and make sure there’s no damage. You want to make sure you do not have a solar panel with a hole in it, and yes, if it has a hole in it, there is a good chance it is still producing energy. We want to avoid spraying water on the electricity making machine with a hole in it. Look at the conduit and make sure that your junction boxes do not have holes in them or cracks in them. 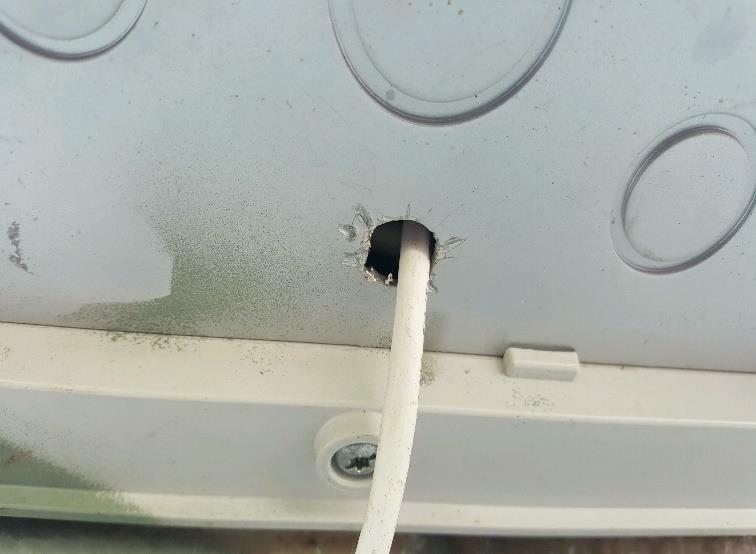 Figure 3: junction box with a crack. Figure 4: box without a proper seal on it. When you have made sure spraying water and washing your panels is not going to cause you any harm, go ahead and start to clean your panels and let that energy machine make more energy on a clean surface! Book of Lists. With no program, there is plenty of time to network with the best of the best in Hawaii! 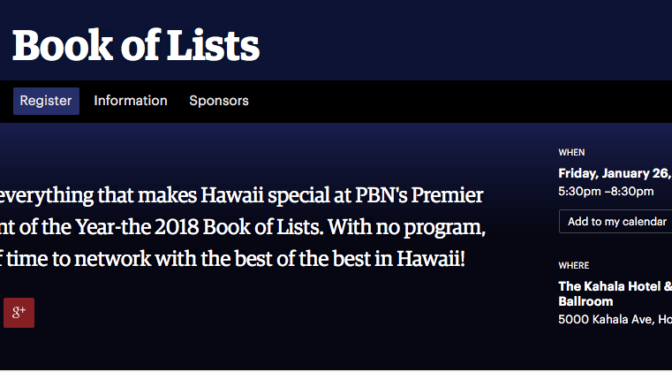 2018 Book of Lists : Passport to Hawaii! Join Pacific Business News and our sponsors as we kick off the new year of doing great business in the State of Hawaii. We will toast the success of list-makers who have earned their spot on one of PBN’s top lists. This exclusive event brings together the most influential, most connected, and most informed. This year’s Book of List theme- Passport to Hawaii- celebrates the phenomenal food, culture, products, services, and talent that Hawaii has to offer throughout the state. The event will feature local companies, products, services and entertainment. Proper system commissioning using a thermal imager at the start of a system’s life, coupled with an annual inspection, helps ensure peak performance. There’s no denying that photovoltaic (PV) systems are a great renewable energy resource, but they do need regular attention. As with any piece of equipment someone owns, there is a level of inspection and maintenance that must be performed in order to keep that system operating in optimal condition. SEE LIVE STREAM OF ENERGY FORUM! Be a Certified AEE Energy Manager. Our team, at Pacific Panel Cleaners, are enthusiastic about all elements of sustainable energy technology. 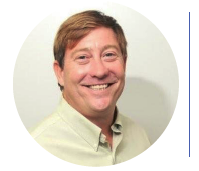 Our owner, and team leader, Fred Brooks is proud to be a Certified Energy Manager and a member of the local AEE chapter and feel this is an amazing opportunity for anyone in the energy field and who wants to get credentials for being a true certified energy manager. Hawai’i Energy’s mission is to empower island families and businesses to make smart energy choices that reduce energy consumption, save money and pursue a 100% clean energy future. Qualified participants pay just $450 for the ENTIRE COURSE (that’s an 83% discount!) with a Hawai’i Energy subsidy. If you’re an engineer, building operator, facility manager, energy service professional or work in a related field, don’t miss the chance to get certified at this low rate. PRO TIP: Don’t wait to submit! Because of the intensive nature of this course, applications may take time to complete, and space and tuition subsidies are granted on a first-come, first-served basis.